Meanwhile, The Irish Times has published the full list of candidates here. Gemma O’Doherty has confirmed that she is running in the four-seat Dublin constituency. 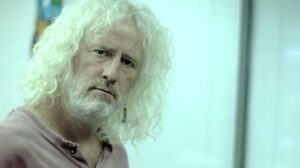 Posted in Misc and tagged European Elections 2019, Mick Wallace at 2:43 pm on April 15, 2019 by Bodger. Hermann Kelly, Eamonn Murphy and Gemma in Dublin. Yikes. Good to see Hermann desperate to get on the European gravy train action he seems to hate so much. Odd that she’s running in Dublin. her brand of paranoid lunacy goes down a lot better in the sticks and she knows it. Keep her. She’s one of your own. I mean – you’re not wrong. But Bertie is retired, Ray Burke is long-retired, and Lawlor is dead. Whereas the Healy-Raes will continue to spawn new Healy-Raes, who will continue to top the polls on their platform of proud professions of ignorance of all things science, and getting goodies from ‘dem hoors up in Dublin’. 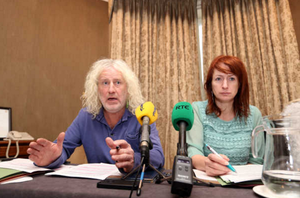 We can agree that the Healy Rae’s are a pox, a hyper-virulent strain of clientelism and self-interest. But in that there’re hardly unique. It’s only the brogue and flat cap that that sets them apart. The Gombeen transcends place; neither defined nor constrained by urbanity or rurality. (Ah)Herrmannnn is only copying his paymaster Nigel. It seems a bit odd for sitting TDs to suddenly look to become MEPs, no? And then some of them don’t even turn up for the plenaries once elected. There needs to be far more accountability. Translated: WAAAAAH! Being a TD was too hard! Well, if they get elected as MEPs, there’ll be two seats up for grabs. Why don’t you throw your hat at it, Daithi? I know better than to put this face on election posters. The people of West Wicklow have suffered enough. Good luck to Clare Daly, she has been an excellent TD and I’m sure will be an equally excellent MEP. Is that THEE Peter Casey I see on the list?!? The one and only. He is going to stop the rural/urban divide and feels the best place to do that is in the European Parliament for some reason. 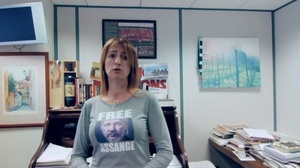 “Free assange” she lost my support right there. yeah..who needs people like him..plenty of others lining up to expose the war crimes and political corruption of elites ..wait.. 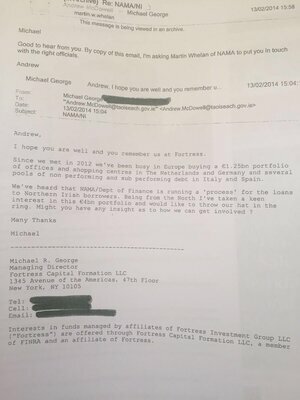 I bet FFGLAB are hoping that MW and CD are successful and leave the Dail to its own dirty devices. One things for sure, if Click are elected, they won’t disappear into a Brussels blackhole for five years until the next election comes around. They’ll have our back on creeping militarisation, banking and financial issues, that is 100% sure. And we’ll hear regularly, in a language we trust and understand, what is happening in Europe. Good video pitches. I’m in. Who’s with me to do regular update from the Canvas?